MEN WITH noticeably masculine physical attributes like beards may have smaller testicles than other males. That’s according to a new study put together by researchers from the University of Western Australia and the University of Zurich. Researchers noted that male primates who were poorly-endowed tended to focus on attracting mates with beards, long hair and other characteristics of that nature. “We found the same thing with ornamentation; some species sport flamboyant accoutrements such as beards, manes, capes and cheek flanges, and various shades of colour in their faces and fur,” said the study’s co-author, Dr Cyril Grueter, explained. “This finding clearly shows that you can be well adorned or well endowed, but it’s hard to be both,” Grueter added. The results of the study come just a few months after biological research found that men with beards are more attractive to women than those without. 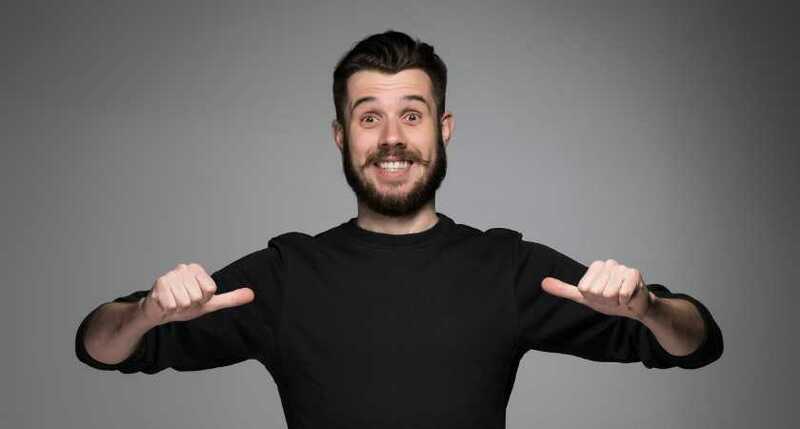 The research, which was published in the Journal of Evolutionary Biology, saw 8,520 women asked to rate photographs of men with and without beards for their facial attractiveness. Each of the men was snapped clean-shaven, five days after shaving, 10 days after shaving and, finally, four weeks after shaving. The women involved were randomly assigned to treatments wherein they rated faces for either attractiveness in general, attractiveness for a short‐term relationship or attractiveness for a long‐term relationship.